Visiting Floyd’s Pelican Bar in Jamaica is definitely something to brag about. 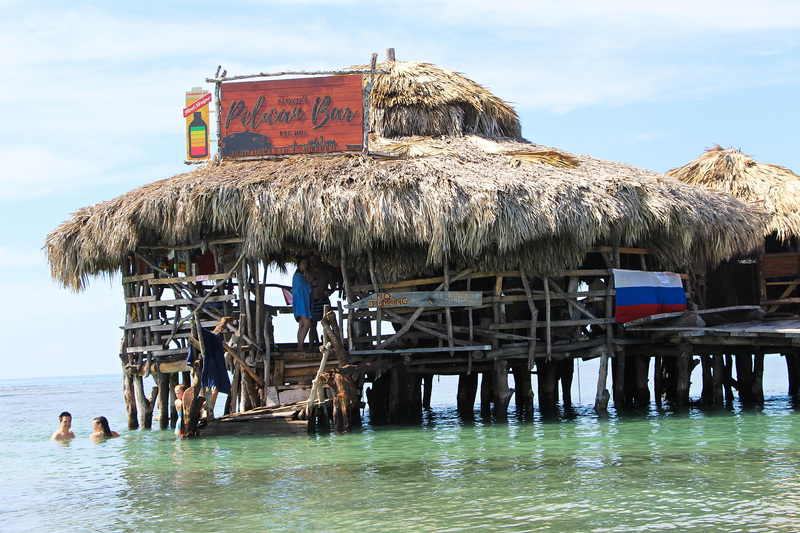 Floyd’s Pelican Bar is a tiny bar made of driftwood stilted on a huge sandbar about ¾ miles out in the sea. There's nothing like a cold one at the Pelican Bar. Be sure to have a fish dish freshly prepared by Floyd himself. All rates are in $U.S. A 10% credit card processing fee applies to any refund. You will be emailed a receipt showing your refund for your records. Banks may take 3-5 days for the refund to show on your bank statement. No refunds for cancellations made within 24 hours of your tour. After you click "Book Now" and fill in your info, your total cost will appear at the bottom of the form. Now in their 21st year moving clients around Jamaica, Malcolm Brothers, Winston.Tulla and Paulti along with Wayne Smith are still working hard for you. Stay up-to-date with the latest news and specials from Jamaica. Be informed of upcoming events, last minute deals, and featured hotels and tours every month. Laid back, friendly and easily accessible, Negril has something for everyone.© 2019 Negril Onestop Jamaica Resorts and Hotels, All Rights Reserved.